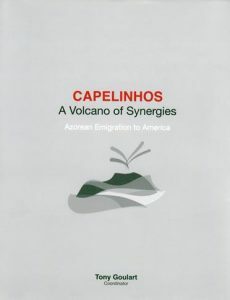 This book chronicles the impact of the Capelinhos volcano on the people of the Azores Islands. The resulting hardship caused the last major wave of emigration from the Azores to the United States, during the period 1958-1975. Many of the immigrants settled in California, most of the rest on the East Coast in Massachusetts and Rhode Island. This book captures the calamity from all sides, with opinions, stories, photographs, even a video, by over 100 contributors, coordinated by Tony Goulart. This book is another milestone in a series of research books by PHPC which will have increasing value for generations to come as the first-hand knowledge of these events passes on into history. 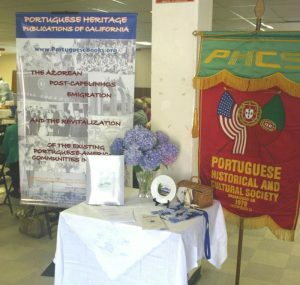 This book will help tell the story of this generation of Portuguese immigrants to your grandchildren and beyond. There were only 3000 copies printed, so the time to acquire one for your library is now, while they last. Our book sponsors made printing this book possible. There is a list printed in the book, and copied on the sponsor’s web page for easy reference. Thank you to all sponsors whose foresight and generosity will be remembered by future generations, as they read this book. Thank you to all the writers and other contributors who donated time to put their part of the book together. A list of contributors appears in the beginning of the book and is copied here for all to see. Without all the effort of our volunteer writers and other helpers we would have been unable to complete this book. This is truly a community effort and is another stellar example of what can be done when people with a common goal work together. Please enjoy the book. Show your support of our efforts by purchasing your copy today.